Why do they call this cake Pig Out Cake? Well, it’s not just because it will make you want to pig out on this cake! There is more. Jan Meeks generously donated this recipe. She says that you will eat so much of this cake, that you’ll make a pig out of yourself. She must be right because whenever I have taken this cake to a potluck, the pan always comes back clean. 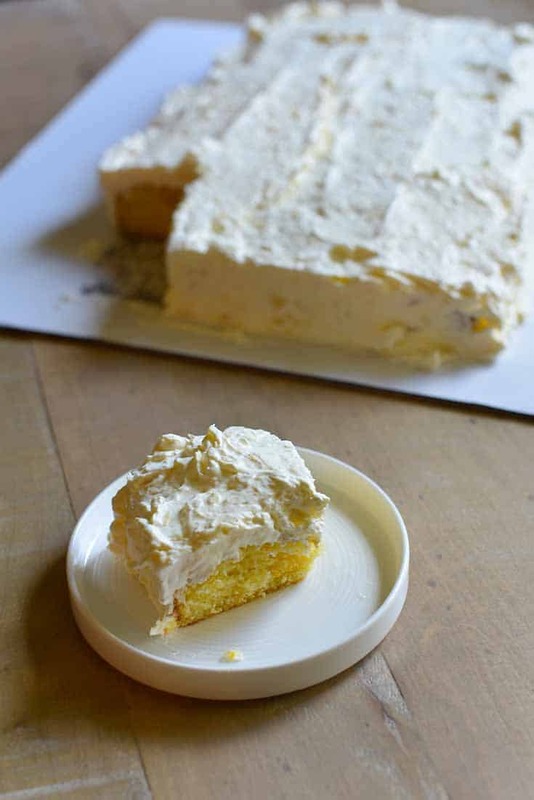 This recipe is now one of my favorite cake recipes, and it may turn out to be one of yours. Pig Out Cake is really so good you are going to want to pig out when eating it. When I first heard about this kind of cake, I did some “googling” and discovered an interesting story. In the southern states, such as Georgia and South Carolina, barbecue pork roasts are called pig pickings. What happens is an entire pig is roasted over a barbecue and then everyone picks off the meat. These barbecues are special events, and everyone brings their favorite potluck dishes and desserts. This particular cake became a favorite dessert at these events and became known as Pig Picking Cake. In Tennessee during the time of hog killing and sausage and ham making, the cake got the name of Pea Pick’n Cake. Farmers would all pitch in and help each other out with the chore of picking peas at each other’s farms, and the ladies would provide a covered dish meal including dessert. The cake recipe made its way into newspapers and women’s magazines, so when the 1980′s rolled around, this was already a very popular cake. It has been given many different names, including Pig Lick’n Cake, Celestial Snow Cake, Florida Sunshine Cake, and Orange Pineapple Cake. It seems that Pig Out Cake is this same cake and that its roots are in the south. Cake mixes are so convenient, and if you add top-quality ingredients to them, your cakes will taste 100% homemade. A cake mix is best regarded as a base for making all different kinds of cake. I found this online comparison of popular brands of yellow cake mix if you want to take a look. Like the Convenience of Cake Mixes? 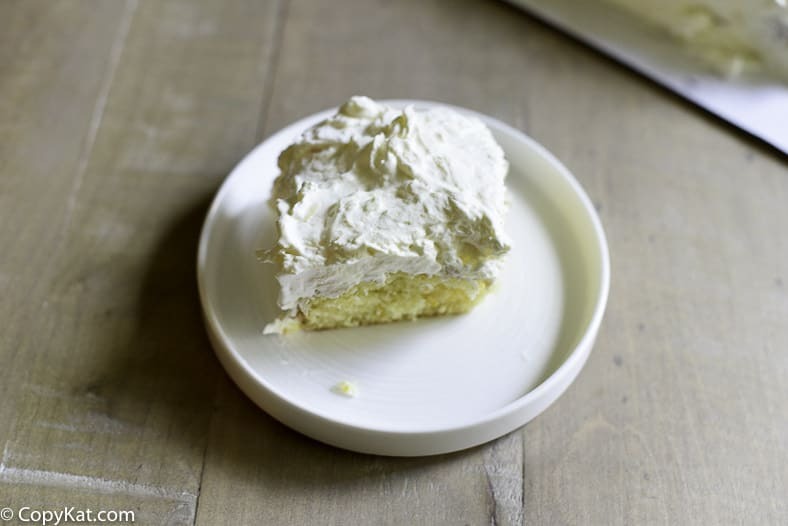 Here are a few more CopyKat cake recipes made with cake mix. This cake is so good you are going to want to pig out on this cake. Mix together the yellow cake mix, eggs, butter, flour, and cooking oil and drained can of mandarin oranges together. Pour cake batter in a 9x13 inch baking pan. Bake at 350 degrees for about 20 minutes to 25 minutes, the cake may not appear done but should be brown on top. Cool and cover with icing. 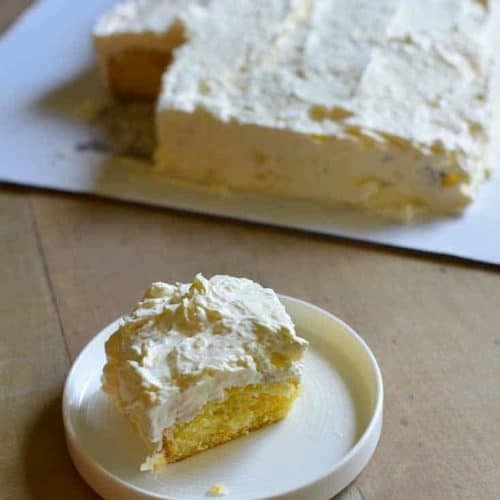 Mix pineapple, pudding, and sugar together really well, let set until it begins to thicken, add whipped topping and coconut and spread on top of the cooled cake... Must be refrigerated. This sounds so delicious and easy to prepare! It does state 1/2 cup of margarine. This recipe is confusing!! which ones are the cake ingredients and which ones are the icing ingredients?? I liked this cake, it was great!